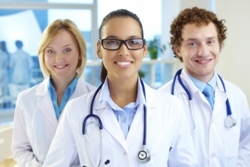 Is your medical practice struggling to keep up with your accounting and bookkeeping? 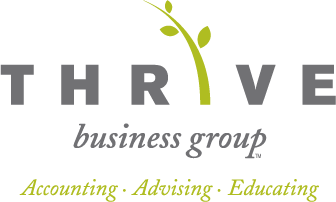 At Thrive Business Group, we make managing your finances simple so you can focus on running the daily operations of your practice. We're a local Bellingham, WA CPA with a wealth of experience working with clients in the healthcare industry. We understand that you love caring for your patients but may not feel the same way about your bookkeeping. That's why we offer medical practice accounting solutions that allow you to spend less time worrying about financial data and more time helping your patients. We'll gladly take bookkeeping, payroll, and other time-consuming tasks off your hands. We also offer practice management solutions that will increase productivity, monitor cash flow more effectively, and improve financial controls. And our proactive tax planning strategies will keep your practice in compliance with the latest Federal and State tax laws while minimizing your tax burden. If you'd like to streamline the accounting procedure for your medical practice to make better use of your resources, call Thrive Business Group today at 360-746-8738 or request a consultation online. We provide tax and accounting services for doctors, dentists, and all kinds of healthcare professionals in the Bellingham area.